Understanding customer experience and predicting churn is critical to improving customer retention. With Qualtrics, you can combine experience data and operational data to help you predict individual customer behaviour, and take action before it is too late. 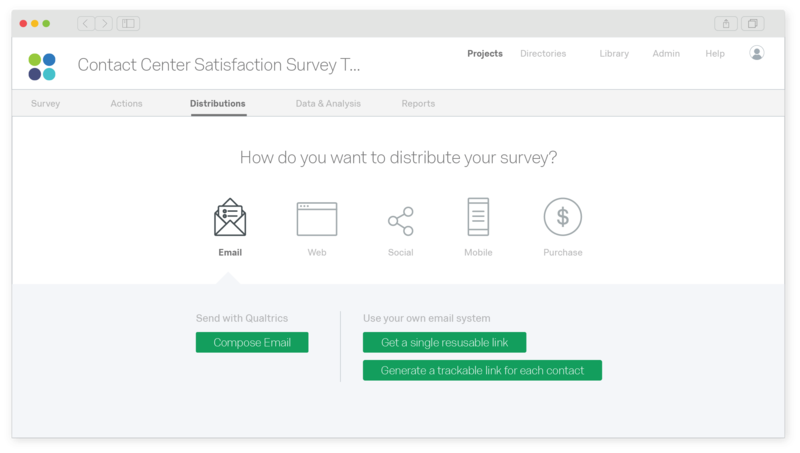 Move beyond legacy feedback collection and start conversations with customers wherever they are through apps, websites, email, SMS, chatbots and many more. Measure customer feedback to assess and diagnose key drivers of customer satisfaction. 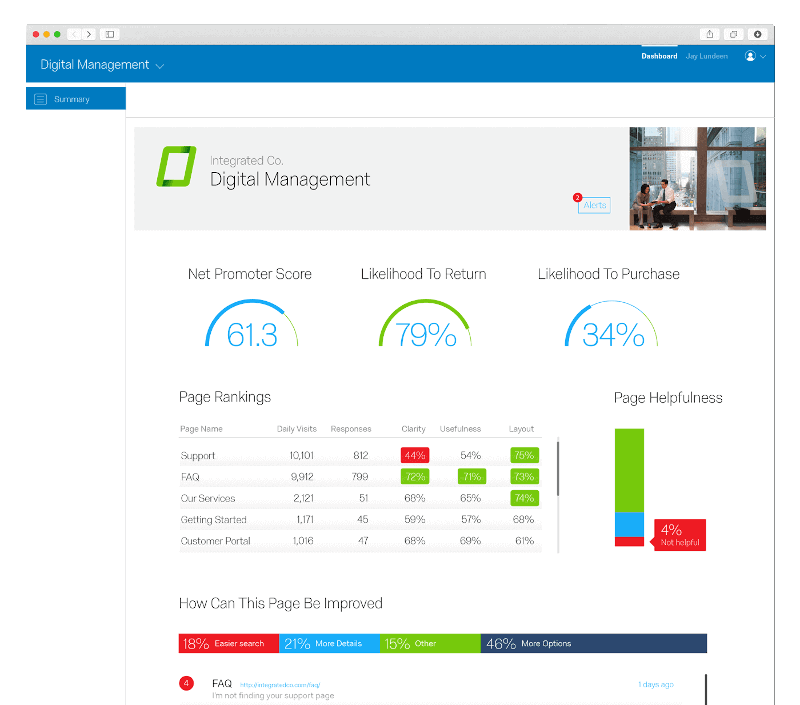 Surface insights that help you anticipate customer needs, predict churn, and focus on the most impactful actions for the business. By embedding CX into your employees’ daily routines and the tools and processes they already use, everyone can effectively close the loop with at-risk customers and reduce attrition. Ready to reduce churn and improve your bottom line? 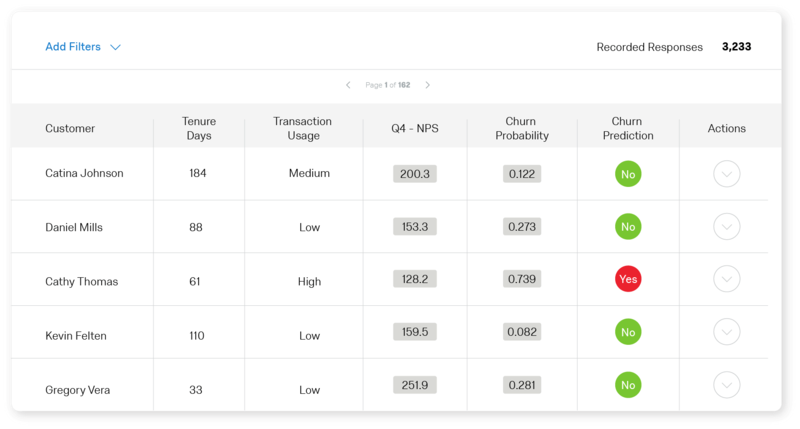 Qualtrics helps you use your customer experience data to make powerful predictions about customer behaviour, such as their likelihood to churn. With Predict iQ, you can bring together experience data with your operational data, such as spend or repeat visits, to predict behaviour and its potential outcome on your core operational metrics, so you can take action when your customers need it most. Put the right data in front of the right person with role-based dashboards for every stakeholder from the leadership team to the frontline. Enable the organisation to take action with at-risk customers with a comprehensive closed-loop solution and action planning tools. What is customer retention and churn software? 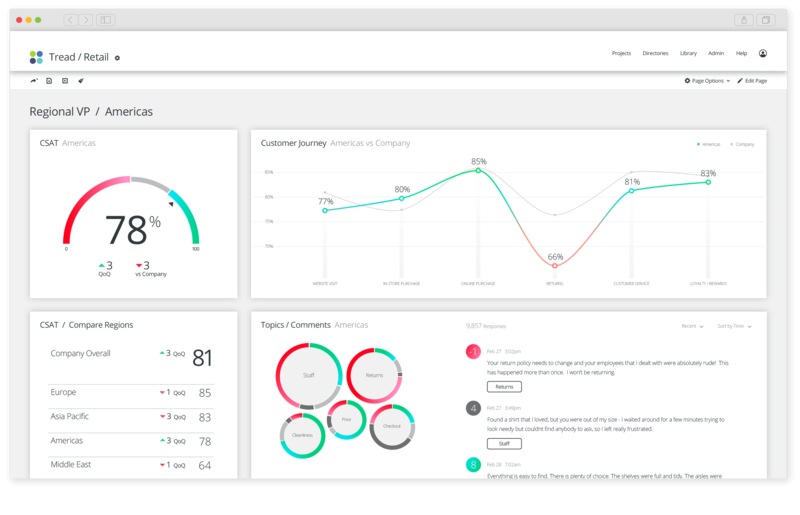 Customer retention software helps you measure and understand the customer’s journey and the experiences they have, from relational to transactional experiences, such as purchase or post-support follow-up. By combining this experience data with operational data, you can surface key insights, such as likelihood to churn. With closed-loop and action planning tools, users can follow up with at-risk customers to improve retention and reduce the need to acquire new customers.